Having a great passion for chocolate I wonder which peoples of different cultures and countries can prepare themselves with these recipes of unique ingredients to no longer think about the diet, and I am a lover of chocolate, so I thought to take a trip around the world to find the secrets of how to prepare recipes based on chocolate, I was also in Perugia in Italy at a chocolate fair and I must say that it was a unique experience, normally the fire takes place in department stores but in Perugia was in city squares, many private individuals were preparing dream recipes, a real masterpieces with refinement and knowledge of the most ancient and innovative methods. On the streets of Bangkok, I saw and tasted home-made products from farmers who sold these delicacies in combination with fresh exotic fruits and almonds wrapped in papaya leaves. In Japan they love chocolate so much that they include it in recipes with chicken and carrots and potatoes, I said to myself, I do not eat it but I taste it, finally ate it and I must say that I liked the recipe very much. So we can not leave Holland, in this country the tradition of chocolate is the same as for Italy for spaghetti, chocolate is prepared in many recipes both cold and hot, broken pieces with bread, chocolate in Holland has a tradition for about 300 years where the fishermen ate to reinforce themselves during the long days at the sea. 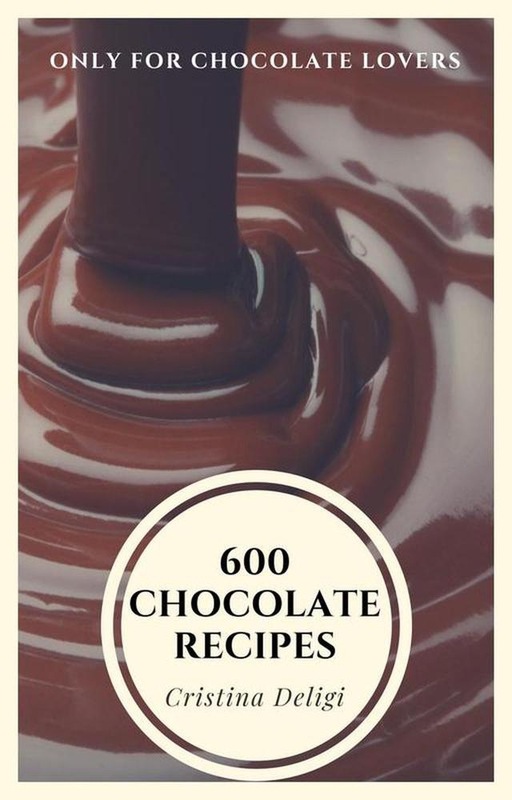 Acquista 600 Chocolate Recipes in Epub: dopo aver letto l’ebook 600 Chocolate Recipes di Cristina Deligi ti invitiamo a lasciarci una Recensione qui sotto: sarà utile agli utenti che non abbiano ancora letto questo libro e che vogliano avere delle opinioni altrui. L’opinione su di un libro è molto soggettiva e per questo leggere eventuali recensioni negative non ci dovrà frenare dall’acquisto, anzi dovrà spingerci ad acquistare il libro in fretta per poter dire la nostra ed eventualmente smentire quanto commentato da altri, contribuendo ad arricchire più possibile i commenti e dare sempre più spunti di confronto al pubblico online.